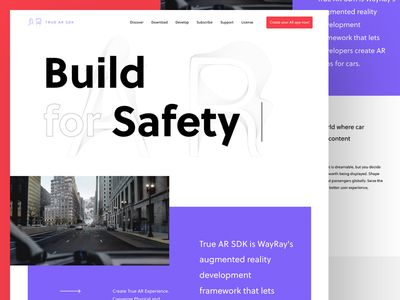 WayRay True AR SDK — Landing page exploration for upcoming WayRay SDK. Navion: AR interface — Well, everything changes and during the past year I was trying different design directions including AR. 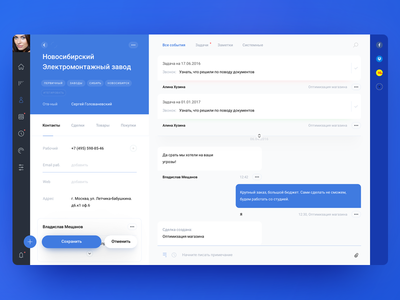 Here is the interface for the product I currently working on: Navion Enjoy and check our openings since we are currently hiring designers worldwide! Element: Autoyoga Screens — Updated and redesigned screens of the Autoyoga section of the app I've been working on during past year: Element. Enjoy and check our openings since we are currently hiring designers worldwide! Element: Trip — Element Route screen of the app I've been working on during past year: Element. Enjoy and check our openings since we are currently hiring designers worldwide! Element: Autoyoga Cards — Long time no shots, but here are some news! Cards approach in the app I've been working on during past year: Element. Enjoy and check our openings since we are currently hiring designers worldwide! 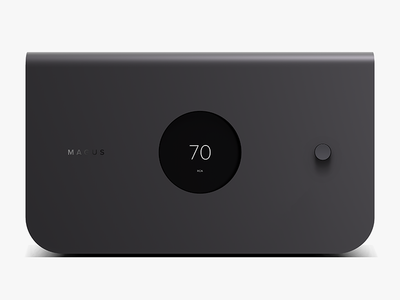 Magus B800 — Currently working on hybrid-amp design with local manufacturer. Cool experience! 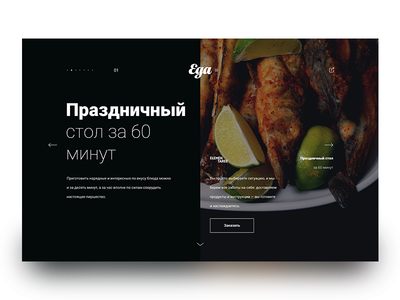 Afisha Eda redesign'15 — During 2015 I've been redesigning one of the largest recipe websites in Russia and it slowly getting alive. Here is the Journal section live already. 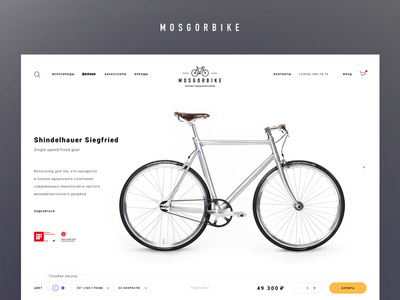 Mir.Travel (Afisha MIR): Website redesign — 2015th version of the Index page Mir.Travel website I've redesigned recently. Please check 100% px attached. 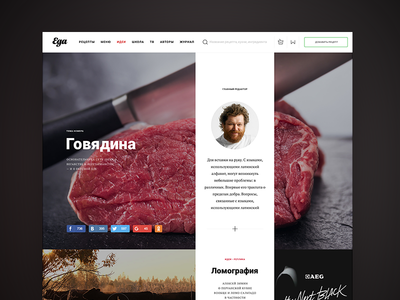 Guides Landing — Landing page design I've been working on during the first half of year 2015. It's an App for iOS all about reading and exploring the world. Animated as always in After Effects. Please check attached part 2. 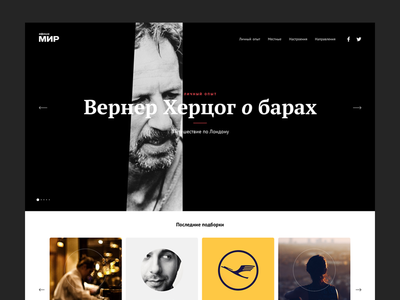 Rambler Travel design concept — During the past couple of months I've been working on a number of projects which included the concept of the travel.ramber.ru — russian travel service. Please check the attached screens. Guides article — Transition: Menu to article for Guides app. V-Scroll — The scroll gif of the project that is on hold at the moment. V-Intro — As I promised, here is another shot with Intro and some interface stuff highlighted. Got one more animated shot to upload. Stay tuned! 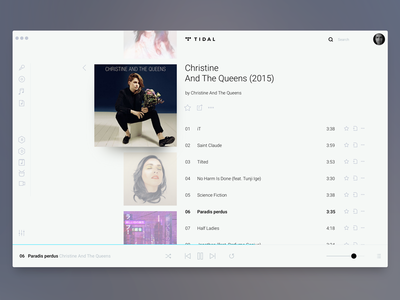 V-Preview — Just a preview of the project I'm working on. More of it in the beginning of the next year. Merry Christmas and Happy New Year y'all!